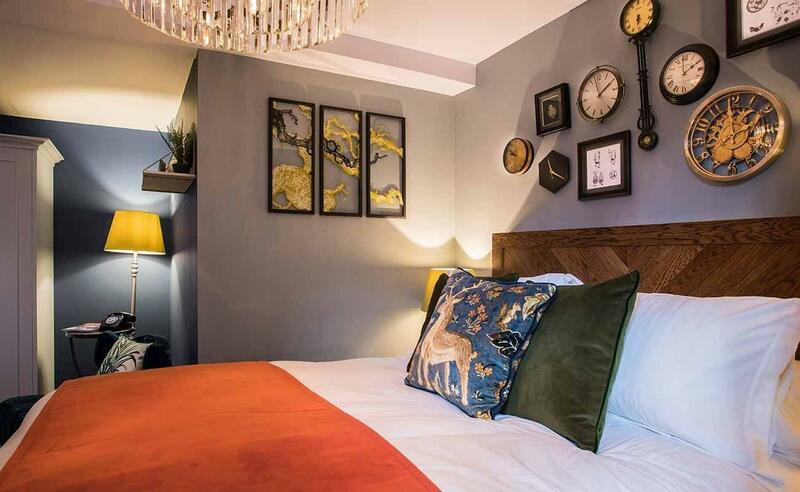 In the heart of this Shakespearean market town is our new boutique hotel, Hotel Indigo® Stratford upon Avon, surrounded by the wealth of culture this idyllic town has to offer. 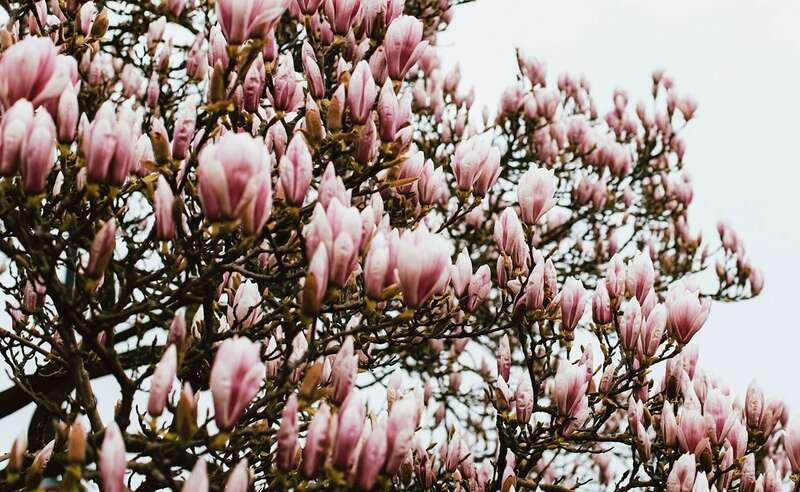 Steeped in history and home to William Shakespeare, we share our neighbourhood with his 16th-century birthplace, as well as one of the most famous theatres in the world; Royal Shakespeare Theatre. You only have to step out of our door and you’ll see New Place; exquisite gardens and commissioned artwork designed to celebrate the family home of William Shakespeare. 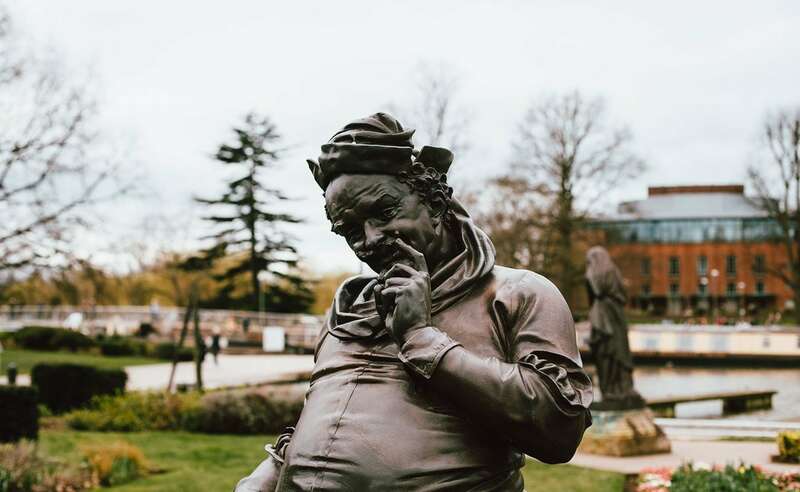 You will recognise links to the Bard and reflections of Stratford’s heritage throughout the design of our boutique hotel rooms, restaurant and bar. Parts of our boutique hotel date back to the 15th-century; a wealth of history and character. Formerly the Falcon Hotel, this stunning historic building has been in the heart of the Stratford-upon-Avon neighbourhood for centuries. 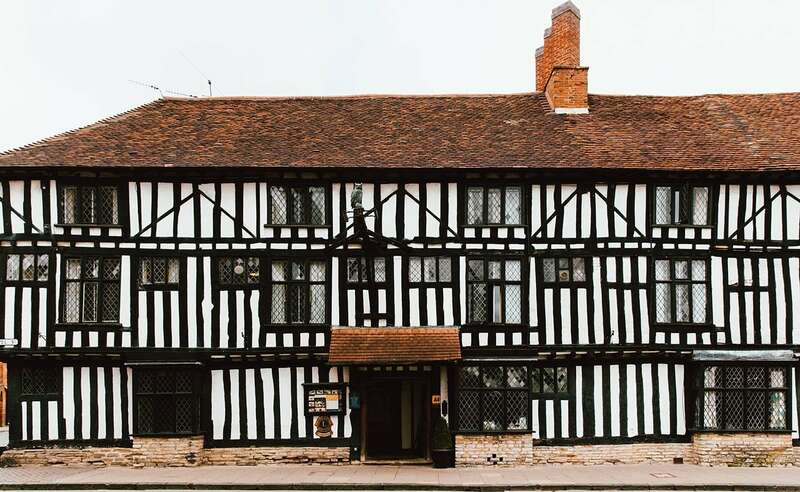 Once a 16th century residence, the original Tudor decorative black and white half-timbering and slanted windows is now blended perfectly with a modern and stylish design that provide guests with a unique boutique hotel. The original Falcon Hotel property was a private dwelling for some 150 years after it was built before becoming a hostelry. 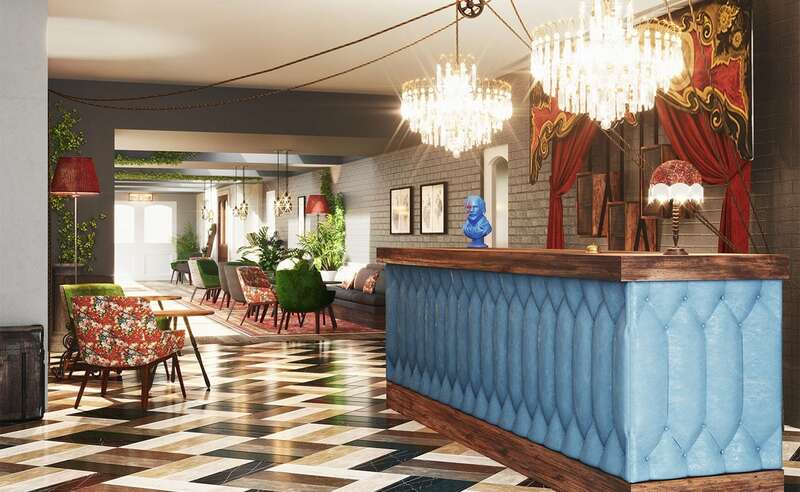 Taking many forms over the years, including being several private properties, the latest chapter forms the individual and fascinating Hotel Indigo Stratford upon Avon. Located directly opposite New Place, the home of William Shakespeare in his later life, The Falcon was also the venue where the Shakespeare Club was established. 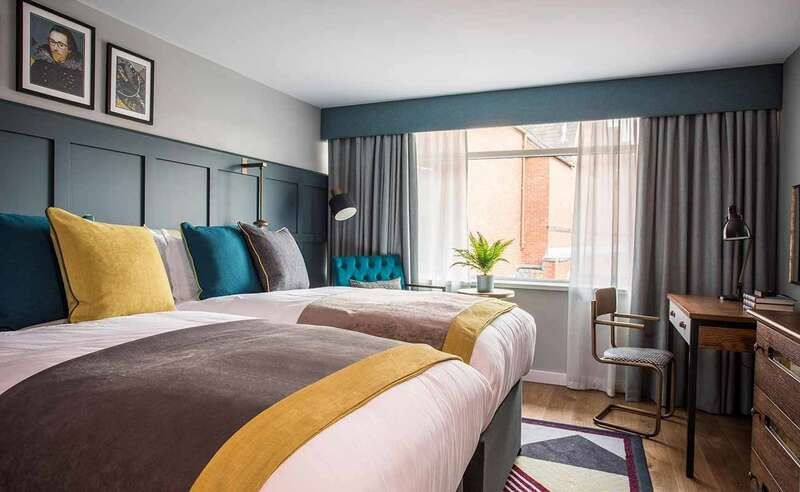 Just a minute's walk from the centre of this historic town and its famous Royal Shakespeare Theatres, Hotel Indigo Stratford upon Avon is truly a hotel on the world's stage. Stratford-upon-Avon and theatre pretty much go hand-in-hand given it was the home of the greatest playright and poet in history, William Shakespeare. Now home to some of the greatest theatres and performances in the world, this famous town has an aura of the extraordinary from the moment you step into it. Let's not forget that Stratford-upon-Avon was a hive for tourists before the famous son put it on a world stage. 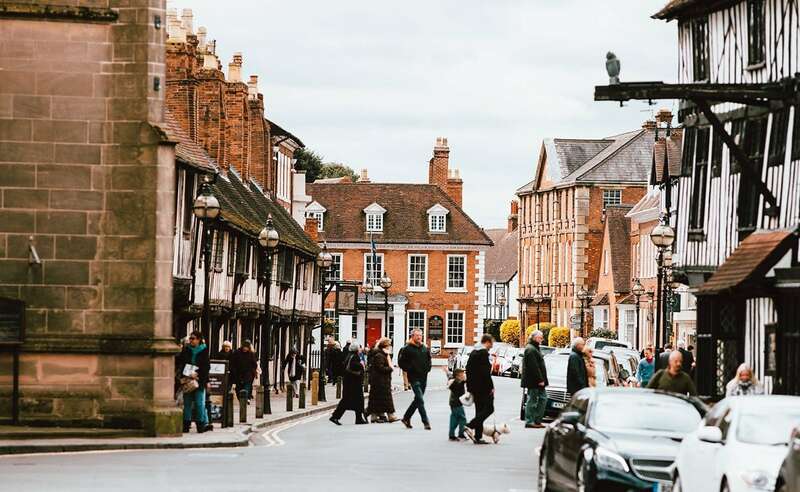 This great market town has plenty more to offer, from its quaint streets and glorious eateries to its fascinating museums and stunning architecture. The Cotswold is a range of rolling hills and countryside located to the south of Hotel Indigo Stratford-upon-Avon. This area of outstanding natural beauty borders regions of South Warwickshire and Worcestershire, through West Oxfordshire and Gloucestershire, and takes in parts of Wiltshire, Bath and North East Somerset. Hotel Indigo. We welcome the curious. The Hotel Indigo brand is a collection of high-end boutique hotels in fine locations. Every Hotel Indigo is unique to its surroundings, with no two hotels being the same. They have their own quirks and character, no matter where in the world. The one thing they do have in common is that they’re all different and waiting for you to explore. Every city is an open-top museum, an endless gallery, a visual treasure trove. It is about more than providing just a comfy bed - it's an experience as unique as the neighbourhoods. Hotel Indigo Stratford upon Avon is no exception. The design of the hotel has been considered to reflect the amazing neighbourhood of Stratford-upon-Avon and all it has to offer. As you move through the hotel - from the public areas through to the stunning bedrooms - you will get a feel of being somewhere truly special; a place that was the home the greatest writer we have ever seen. Extending your experience of this beautiful market town from the streets you explore to the bedroom you sleep in.